When kids love to read, you want to make sure they have access to books they’ll love. But recommending the right books is a complex and time consuming process, and even when the best books are identified, many families and schools can’t afford to buy them. Enter Mia Learning, which uses machine learning to match kids with books, strengthening self-directed reading skills while building kids’ personal libraries. Booz Allen Hamilton awarded Mia Learning with the Most Promising Innovation Award last month at SEED SPOT Demo Day. SEED SPOT is a non-profit incubator that provides new entrepreneurs focused on advancing social good with education, training, support, and connections to take their concepts from idea to scale. Since January, Booz Allen Hamilton has been SEED SPOT’s catalyst sponsor and provides mentorship from their employees to ensure that ventures succeed. Like Mia Learning, Booz Allen is also focused on using machine learning to better serve clients while creating positive social change. 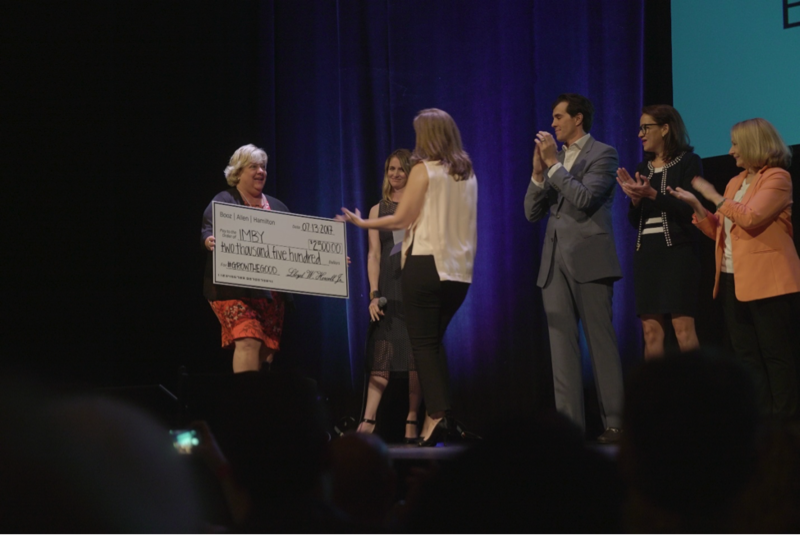 Last month, over 500 people, including mentors, supportive followers and potential investors, attended SEED SPOT’s Demo Day in Washington D.C.’s Warner Theater as the founders of nine social good ventures pitched their businesses, hoping to win over the audience. In addition to Mia Learning, Booz Allen also recognized imby, a digital platform designed to help individuals stay informed about plans for development in their communities, with its #GrowtheGood award. By aggregating public information and making it easily accessible, imby enables citizens, real estate developers, and local governments to become and remain informed about community needs and encourage sustainable development. Susan Penfield, Booz Allen’s Chief Innovation Officer and SEED SPOT DC Board Member, presented Mia Learning and imby with their awards, and also accepted SEED SPOT’s 2017 Community Partner of the Year award on behalf of Booz Allen Hamilton.